The Mecca of Harry Potter Tattoos. Never worry about being too nerdy here. We’re connected to the Wizarding World of Harry Potter—this is the mecca for Harry Potter tattoos. 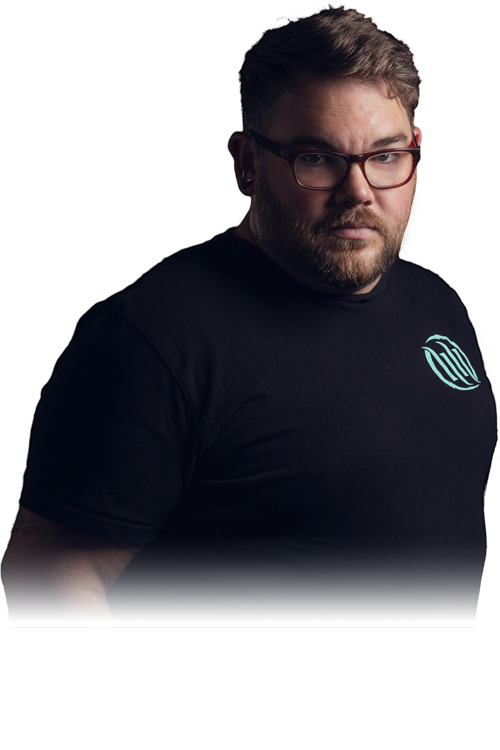 Isaac Bills wants you to know that you can nerd out in good company at Hart & Huntington Orlando. Because it’s located at Universal Studios, it is the place to get your Harry Potter tattoo fix. He, along with the rest of the team, are fans and have all done several pieces. Some clients come in and you can tell they’re nervous to talk about getting the tattoo in the first place. Don’t be. We get it around here. Isaac’s seen all of the movies with his family and his kids have all the cool toys, from wands to robes to stuffed characters. Seeing Universal’s Wizarding World of Harry Potter really blew his mind. When you see something like that, your imagination comes to life. It’s a retreat and you can be drawn into it. You get to pretend for a little bit that the Harry Potter world actually exists. And he respects how the stories translated to the park, with the tight control of author J.K. Rowling. She created a whole other world that people are inthralled with. She made sure the theme parks were true to the story she portrayed. I would do that too. As for his favorite character, well, Dumbledore of course. Dumbledore is my favorite because he’s perceptive without letting on that he knows whats happening. When someone can see past what’s put in front of them and see the big picture when others can’t, that’s pretty cool. 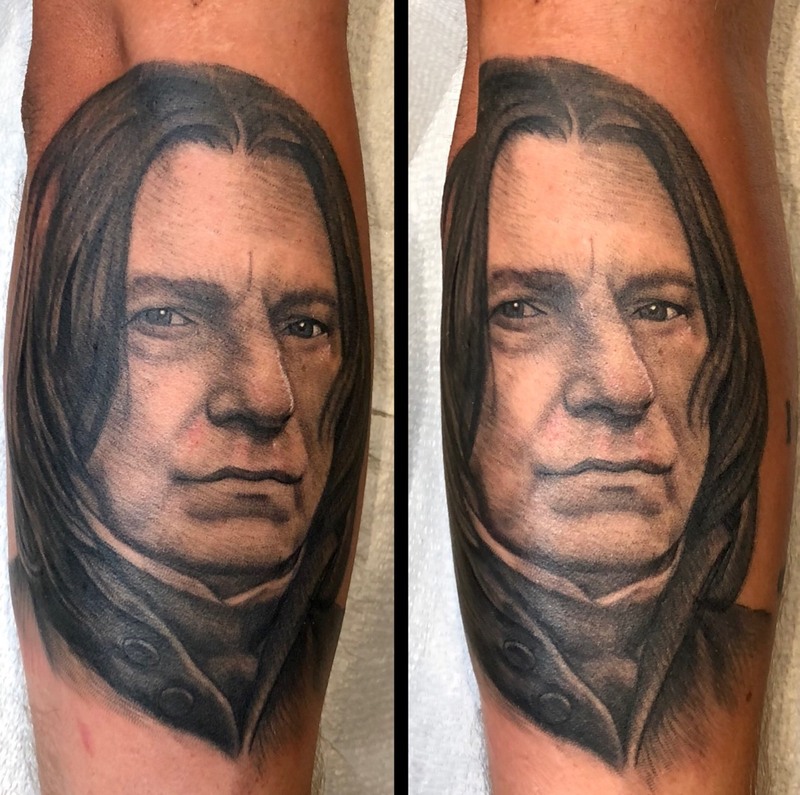 Isaac has created many Harry Potter tattoos, but his favorites are the character portraits. That is his signature style. It’s hard to remember the first one because we’ve done so many. I did a pretty good one of Professor Snape. As a portrait artist, it was the only one where I got to use all of my experience. Most of my training has been on drawing and painting portraits, so that was a bit more fun for me. 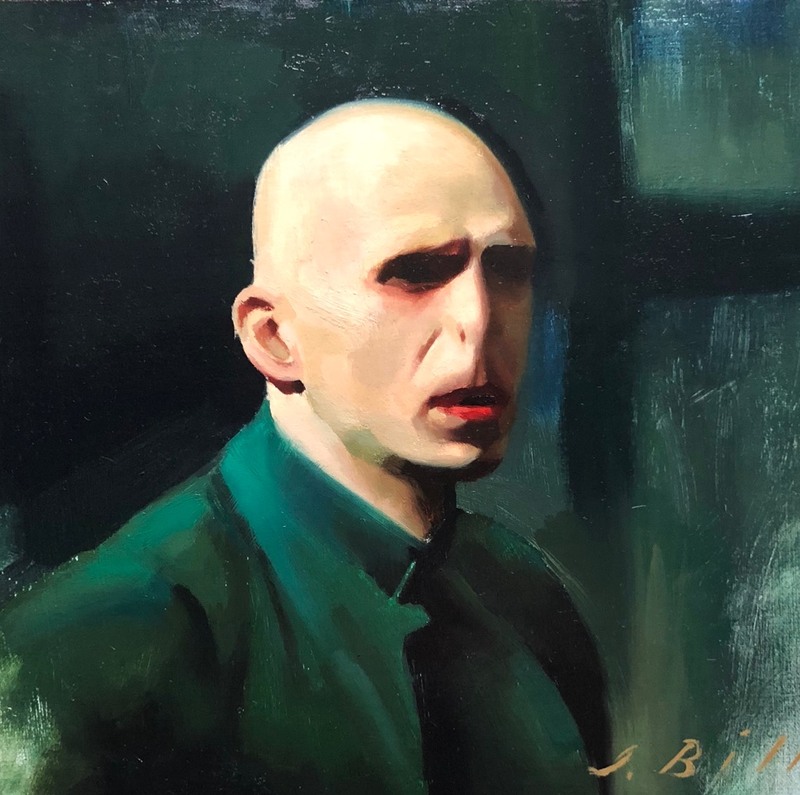 And he’s currently working on a series of Harry Potter paintings. I finished a Voldemort piece and did one of Hermione Granger and her cat, Crookshanks. Maybe he’ll create new pieces after being inspired at the Harry Potter Literary Ink Convention. It was the first convention Isaac has been to in over 10 years. He saw some pretty great tattoos. The woman that worked next to me did a few pretty cool tattoos, one was a Niffler tattoo from the Fantastic Beast series. Mel Lockett (Hart & Huntington Nashville) did a Dumbledore portrait on her husband, that was really cool. It was an ideal convention to go to, because Isaac feels connected to the Harry Potter world just working in Universal Studios. Working in Universal, I feel like I already live in that world. It was a well done convention and I had a great time. Issac recently created a great Harry Potter tattoo with his owl, Hedwig. I have the design, I just need someone to tattoo it on. Any takers? Ok no, none of our shops are haunted. (That we know of.) But we have a group of clients who love Halloween, horror movies and all the ghosts and monsters that come with it. These tattoos can be very detailed, intricate and vibrant and come in all styles. Here are a few that we think are scary good.